The Guardian RD2 automatic opener provides quiet, convenient, reliable operation as well as increased security and is suitable for all Roll-A-Door and RollOver roller doors. The powerful 1000N 24V DC motor is suitable for single or double doors up to 16.5m2. The slimline motor requires only 50mm sideroom between the door curtain and the inside of the bracket. Two keyring handsets - The opener comes with two stylish multi-channel keyring handsets with back-lit LED and a smart zinc metallic finish. Each handset can be programmed to operate up to three garage doors. 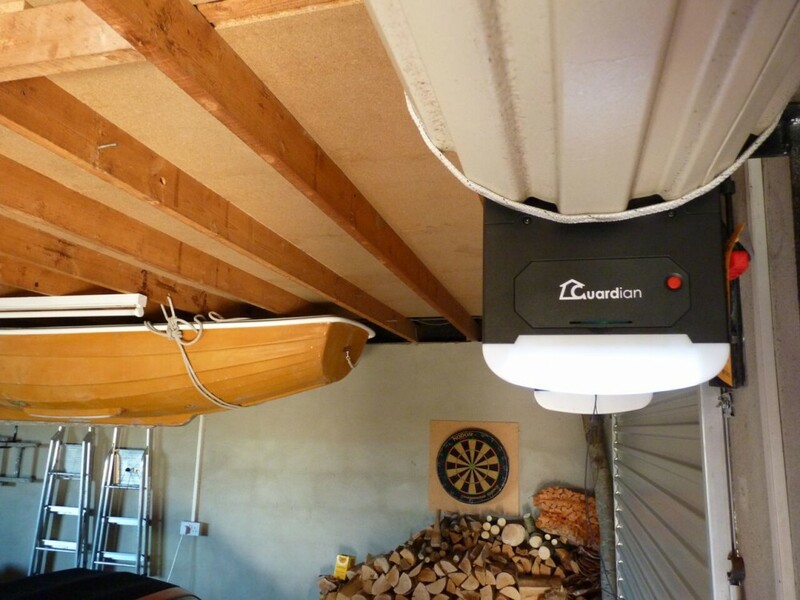 Courtesy light - The in-built LED courtesy light illuminates when you open or close your garage door. Internal wireless wall button - A wireless wall button and an internal transmitter button on the unit are also supplied as standard for your convenience. Manual release - In the event of a power cut, a simple pull of the disengage cord will release the door and allow you to operate it manually. An external key release allows the door to be manually operated during a power failure. Soft start, soft stop - Slows down the door before the end of the cycle and stops it gently. At the start of the cycle, it will accelerate smoothly to the normal speed. This reduces wear and tear on the motor and door. CE and RoHS compliant - Meets European Safety Standard EN 13241-1 and EN 12453. Automatic intelligent door profiling - with multi-point obstruction detection algorithm checks and adjusts the force required to ensure the door operates safely and smoothly.